The Attorney-General’s department continues to “finalise” its review of the Anti-Money Laundering and Counter-Terrorism Financing Act. Rarely has a finalisation process taken so long to finalise. The department has been “finalising” this review for some months now, a review which was supposed to have been put before parliament last year; indeed this is a review of laws which were originally supposed to have passed into statute eight long years ago. 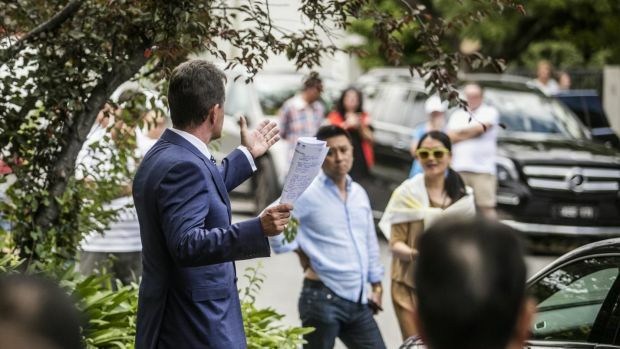 Had these laws been enacted for real estate agents, as well as lawyers and accountants as was intended, they may have stemmed the flow of Chinese money into Sydney and Melbourne property markets. Housing might have been more affordable for first home buyers. The market distortion which is the metropolitan real estate bubble might have been tempered. Now the dithering looks set to continue. It may be too late. House prices have run too high and the government is loath to frustrate the flow of the Chinese billions in case the property bubble is pricked. Besides, the property lobby is unlikely to let it happen. The “industry consultation” process behind the scenes will no doubt see to that. So we have a situation where the Financial Action Taskforce, the world body charged with co-ordinating the compliance of all governments with the international AML regime, has had some uncomplimentary things to say about Australia’s dithering. It is getting embarrassing for AUSTRAC too, Australia’s financial intelligence agency which is there to combat money laundering and organised crime. Like the Attorney-General’s department, AUSTRAC has now pulled down the media shutters as well, refusing point blank to respond to questions. Given the paranoia, when the review finally does see the light of day it may be feeble; and even if it does make robust, unequivocal recommendations in line with the taskforce’s standards it will probably be buried as soon as politically possible. That AUSTRAC is reticent about being publicly critical of government dillydallying is understandable. Last year though, before the agency adopted its “no comment” approach to any and all questions on the subject, it admitted in fairly frank terms that money laundering was a big problem in Australia. Further, criminals also used professional facilitators such as lawyers and accountants to help them seem legitimate, the agency noted. So what was being done about it? The feted ‘review’ was underway. Under the first tranche of anti-money laundering legislation which was introduced in 2006, banks already have to prove where their money is sourced. Same deal for casinos. Suitcases of cash are no good. The second tranche of anti-money laundering legislation was due to be rolled out in 2008, following the release of draft provisions in 2007. That didn’t happen. The global financial crisis was the scapegoat. In mid-2009 the Attorney General’s department announced it was to make an announcement later that year. Nothing came of that and in 2010 there was a statement saying the government was in consultation with stakeholders. Apparently then a consultation process has been dragging on with stakeholders for six years. Perhaps it is a different consultation process, perhaps one of many. Who knows? What is evident is that, to the detriment of the national interest, successive governments are culpable of high-level pussyfooting on introducing the anti-money laundering laws. Amid further evidence lately of slipshod lending standards by banks and their proxies in the housing markets, fears of a “hard landing” are on the rise. It may therefore be not only the property lobby thwarting money-laundering reform but also the banks.